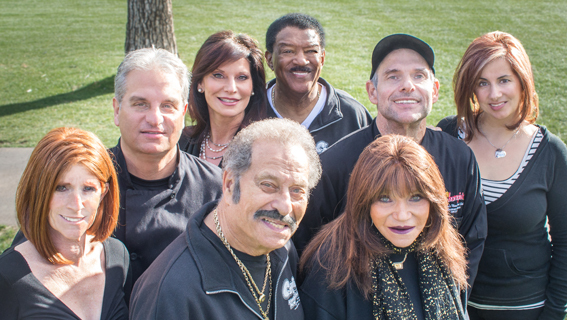 Pictured above: Front row, Lou and Lovey Borenstein; back row, from left, Mona and Mark Borenstein, Wendy Borenstein-Tucker and Don Tucker, Neal and Shirli Borenstein. If you’ve ever sunk your teeth into a fresh New York-style bagel with whipped cream cheese at Chompie’s Restaurant, Deli, Bakery and Catering you have Wendy Borenstein-Tucker to thank. Wendy and her first husband, Ron Wall, had come to Arizona to visit some friends who had moved here and she decided it was time to “move out west.” They had had an exceptionally brutal winter in Queens, NY, and then the summer hit with temperatures and humidity both in the 90s. Not to mention that David Berkowitz, the serial killer known as Son of Sam, was on the loose. Now, all Wendy had to do was convince her parents, Lou and Lovey Borenstein, to follow her along with her younger brothers, Mark and Neal, who were 17 and 15. She told them that there would be opportunities in Arizona and lots of room for growth. “I started thinking ahead to my parents 25th wedding anniversary, I wanted to have a party for them,” says Wendy. 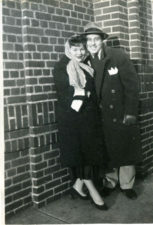 She told the guests, “If you’re going to bring a gift, bring a cactus or a piece of luggage – gear it to going out west to Arizona.” Lou and Lovey walked into a surprise anniversary party, and the final gift they opened up were tickets and hotel reservations to visit Arizona from Wendy and Ron. 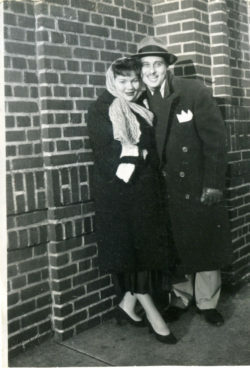 Lovey and Lou Borenstein in the 1950s. The answer was obvious to a Jewish mother – follow her. It was March 3, 1978 (Lou Borenstein’s birthday, coincidentally), when Ron, Wendy and Wendy’s younger brother Mark arrived in Arizona. The drive across the country had been rough, their AMC Pacer had broken down along the way, and now they were waiting for the movers to arrive. 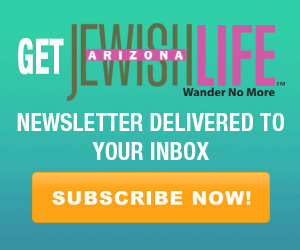 They had decided before they left New York that Arizona was in desperate need of a place to buy real “water bagels” like the kind they had at home. Since Lovey had done some catering and Mark and Neal had both worked places where they learned the bagel-making trade, they decided to go with what they knew. So there they were, the three of them sitting around experiencing Taco Bell for the first time and trying to figure out a catchy name for their business venture. They came up with names like New York Bagel Bistro, Borenstein Bagels, Bagel Delight and the Brooklyn Bagel Bistro. “We had been to town once before, and it seemed like there were a lot of ‘cute’ names of places back then,” remembers Wendy. “They were catchy, memorable – like the Lunt Avenue Marble Club, Harvey’s Wineburger, The Velvet Turtle – to name a few.” Then all of a sudden Wendy had a vision of what the logo would be, and at the same time, Mark says, “Wow, I really miss the Chomper.” That was all he had to say. “I went chomp, chomp, chomp … Chompie’s Bagel Factory,” says Wendy. “Chomper” was the nickname of the youngest Borenstein boy, Neal. 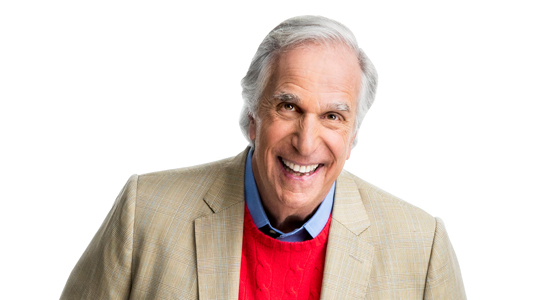 “Neal has a big broad smile and a large mouth – he could eat a hamburger in three bites,” says Lovey. “When he was a kid, and we lived in Queens, the kids on the block would holler, ‘Hey Chomper, you wanna play street hockey?’ ” Little did Mark realize that saying he missed his brother back in New York would create the iconic name for the family business. Lou Borenstein in front of the first Chompie’s location. The first Chompie’s was located in a strip mall at 32nd Street and Shea Boulevard in Phoenix. The Borensteins had to special order the equipment they needed including mixers, ovens and even the tubs to boil the bagels in before baking. “Kettling” is the name of that specific process and it’s not a true New York “water” bagel if it hasn’t been boiled first. 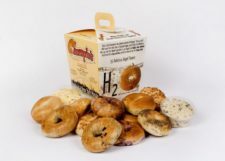 It was a long time coming (made longer with delays by the Arizona health department as they had never inspected this type of equipment and the bagel-making process before), but on Feb. 1, 1979, the first bagels came out of the oven. The best thing was when transplanted New Yorkers discovered them. One customer’s reaction made the biggest impact on Lovey. “I had a guy come in and take a look at the beverage board and say to me, ‘You make chocolate egg creams?’ I said, ‘Yeah we do that.’ ‘You don’t by chance use Fox’s U-Bet syrup do you?’ I said, ‘As a matter of fact we do, straight out of New York.’ Well, I made him the biggest, frothiest chocolate egg cream you ever saw.” When she handed him the soda, the man sat down on the floor and started to cry. In the 40 years that he had lived in Arizona, he had not had an egg cream soda. “I felt so bad. It was heartbreaking. He had the best time,” says Lovey. Needless to say, the man became a regular customer. 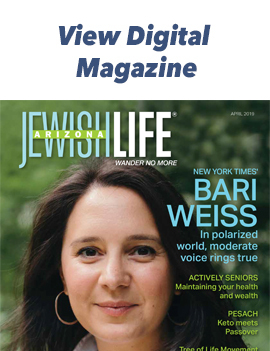 From that point on, they made sure to bring a little more of Brooklyn to Arizona by ordering products that Lovey remembered from her own childhood and while raising her family, . They have always listened to their customers and try to carry what they want and miss from back East. 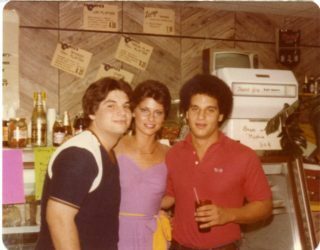 Neal, Wendy and Mark Borenstein. They stayed at that original storefront on Shea Boulevard for 15 years. Between construction of the State Route 51 and the fact that they had expanded as much as they could at that location, the family decided to move up the street to 32nd Street and Greenway. They stayed there for 15 years also, and when that lease was up, moved into the space they now occupy at Paradise Valley Mall. In addition to their Phoenix location, they have locations in Scottsdale (the longest at one address – 25 years), Tempe, Chandler and the newest one at Arrowhead Towne Center in Glendale, which opened two years ago. Everyone in the Borenstein family has designated jobs, and then some. Wendy handles the marketing, Neal is research and development, and Mark is whatever is needed. 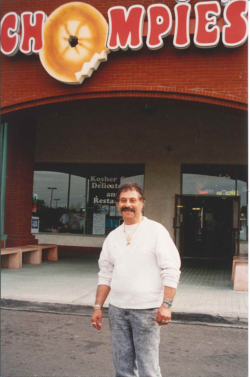 Lou Borenstein added wholesale to Chompie’s business in the early 1980s. He went door-to-door delivering bagels and cookies and getting their products into businesses, coffee shops and grocery stores. Today you can find Chompie’s bagels and cookies at Fry’s and Bashas’ food stores. Each location has its own commissary operation, and each store makes what they need. “They all follow the same recipes,” says Wendy. “All the breads are baked in our kosher bakery, and they get delivered. All the bagels are baked on site. We do it all.” They also operate a separate catering division for their customer’s lifecycle celebrations. A lot of the recipes used at Chompie’s today came from Lovey’s mother and mother-in-law. 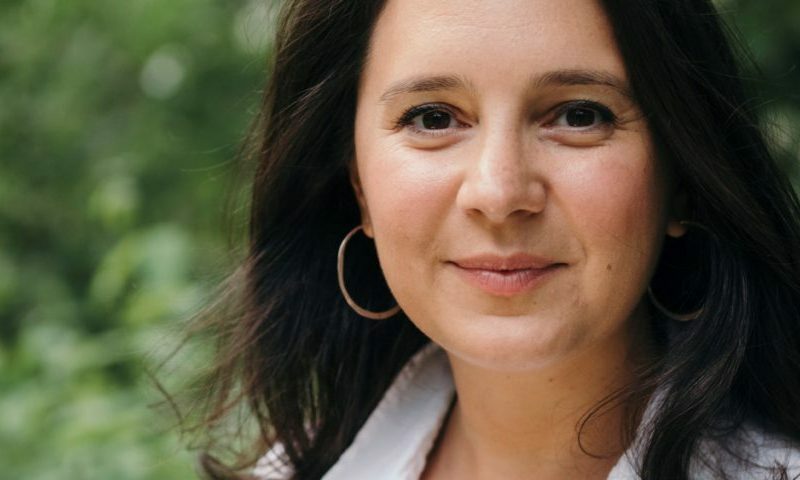 “My mother was born in Poland, my mother-in-law in Russia, and their recipes are incorporated in many ways – such as the blintzes, potato pancakes, briskets and the chopped liver,” she says. The grandmothers also had different styles when it came to matzah balls. “We make our matzah balls more like grandma Sarah’s than grandma Sadie’s,” Wendy says. “Grandma Sadie’s – they were the sinkers – grandma Sarah’s are the floaters. We make our matzah balls like Grandma Sarah.” Their chicken soup with matzah ball (a.k.a. Jewish penicillin) is a favorite go-to when Valley residents are nursing a cold or just need comfort food like grandma used to make. “When you lose your grandparents, you lose a little bit of tradition,” says Wendy. Although they have been donating to the greater good of the community since 1979, about 10 years ago the family started “Chompie’s Cares.” It’s a dedicated page on their website that you can go to and list whatever information you want to share from your organization and they will make a donation. “We donate items for silent auctions, money, or if someone wants to have their own special day or night at Chompie’s, we can do a portion of the proceeds to a 501(c)(3),” says Wendy. Every year they donate more than $100,000 to various nonprofit organizations. They have had a “charity of choice” for the last two years that is featured on their kid’s menu. The Singletons (formerly known as Singleton Moms) is an Arizona-based nonprofit dedicated to providing hope and support to single-parent families impacted by cancer. All throughout May Chompie’s held a silent auction at their Scottsdale location. There were more than a dozen items to bid on including a football helmet signed by Larry Fitzgerald, Arizona Cardinals wide receiver, and a laser-engraved display of Frank Sinatra, Dean Martin and Sammy Davis Jr. All of the proceeds from that silent auction was given to The Singletons. Neal, Lovey, Wendy, Lou and Mark Borenstein. Any family run business will experience challenges, but going on 40 years, the Borensteins have figured out the best way for their family to make it work. “It’s definitely challenging getting along with family, it became more challenging as we have gotten older, but we’ve also become more adept at handling it too as we’ve gotten older,” says Wendy, who now serves as executive vice president. 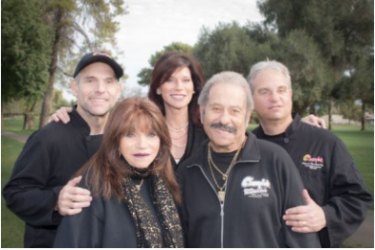 Regardless of what the future holds, right now all of the Borenstein siblings, along with their mom and dad, are doing their best to continue the traditions that have made Chompie’s a haven for their customers over the last four decades. “Yes, very good.” the woman replies. “Good,” Wendy says, smiling proudly. Another satisfied Chompie’s customer. What a great honest, heartwarming story of a family that sticks together and succeeds together. Most families have occasional arguments but the key is to forgive and move on. I have eaten at several Chompie’s locations and i’m happy to say the great consistency, and quality is there. This is coming from a person from Brooklyn. I’m a pastrami lover and their’s is the best in town.